The bungalows and villas: 8-person bungalow (NL-4904-32), 4-pers. villa with steam shower and whirlpool (NL-4904-35), 12 pers. villa (NL-4904-31 or NL-4904-05), 14 pers. child-friendly bungalow with traditional sauna (NL-4904-36), 18-pers. villa with infrared sauna (NL-4904-38) and the largest version the 22-pers. 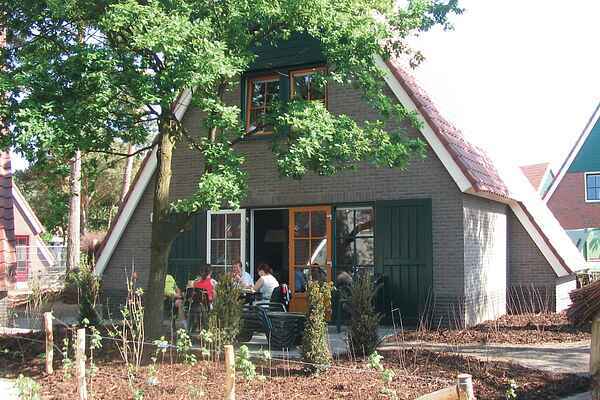 child-friendly bungalow with traditional sauna (NL-4904-06) are spread over the large wooded park. They are located on spacious plots in a quiet environment. The bungalows are divided over the ground floor and 1st floor (some still with 2nd floor) and are comfortable and very well furnished. You have a garden with terrace and garden furniture.